Beau Cacao is a small chocolate maker in London. 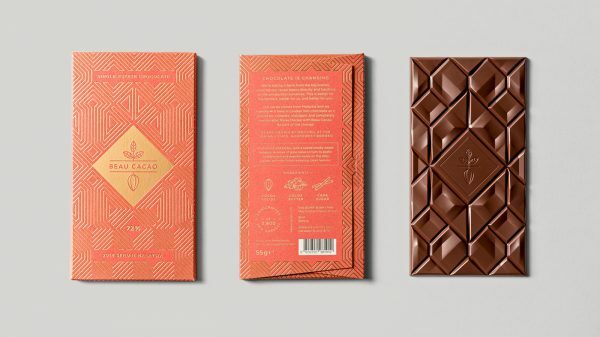 With their new chocolate they have added some great chocolate packaging that is worth taking an extra look at, do it. 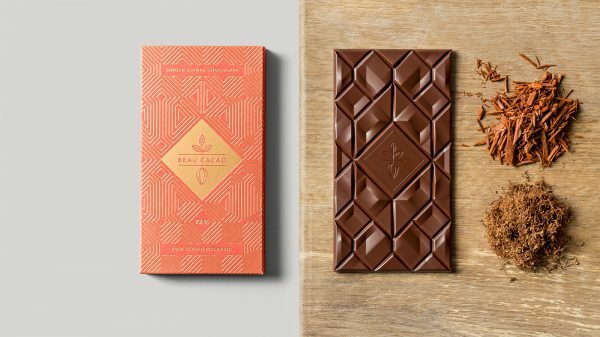 Beau Cacao is a small chocolate company in London, England. It was founded by two chocolate lovers. One designer and one waiter. During traveling they acquired a passion for great chocolate and eventually turned that passion into a business. That is today Beau Chocolate. 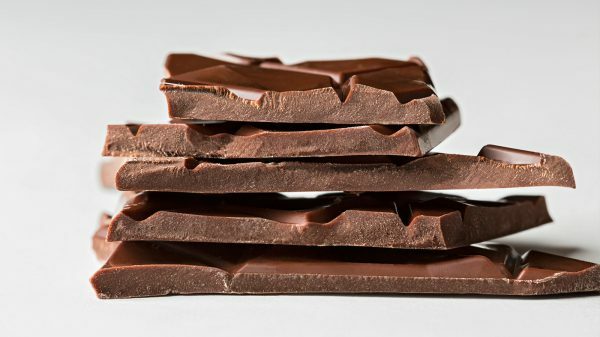 The beans for the chocolate is sourced in Malaysia and is made from only three ingredients. Cacao beans, cocoa butter and cane sugar. They have two different types of chocolate, both dark single estate chocolates. Now let’s check out the elegant packaging. The packaging is simple and very elegant, just on the right side of not trying to be too luxurious. One orange and one yellow, both with a golden pattern on them which is drawn into very thin lines. One tilted square holds the logo in the middle of the packaging. 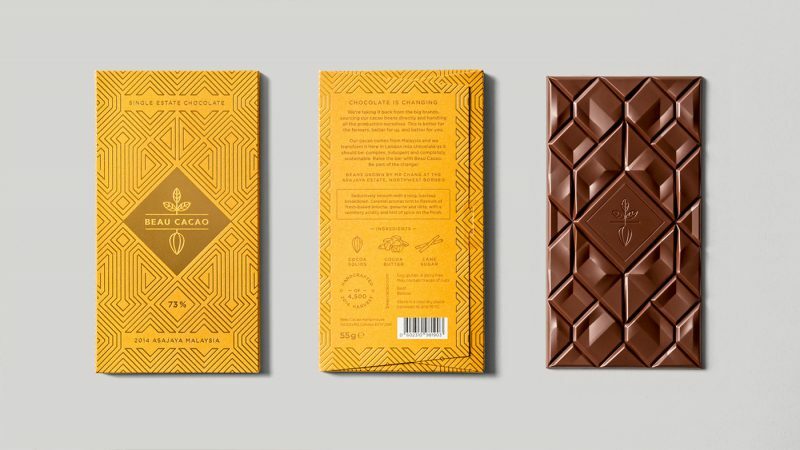 On the backside of the packaging Beau Chocolate share their story and philosophy about chocolate. 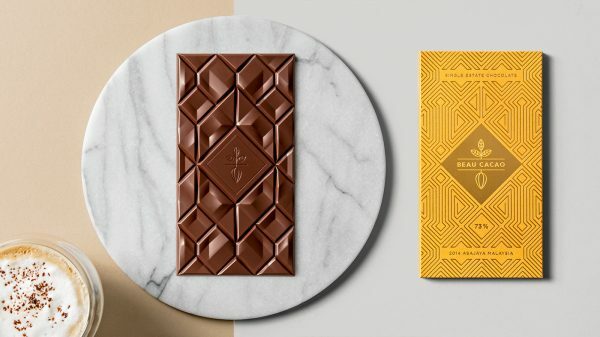 The actual chocolate comes with some great design. Instead of the traditional squares there is diamond shaped pieces. The shape is the same as the golden lines on the front of the packaging. 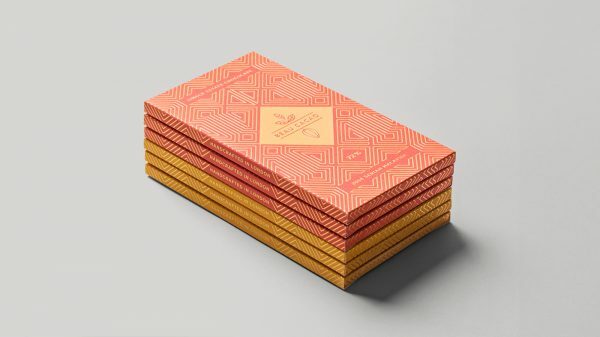 The design is made by Socio Design and Adam Gill, for more on Beau you can take a look here.